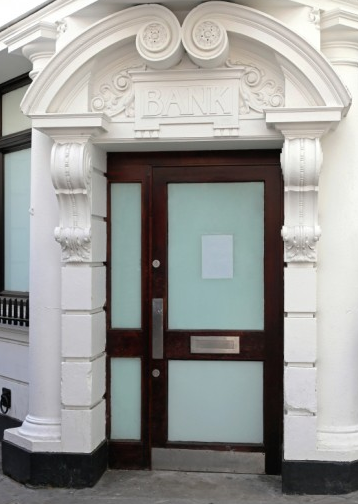 Small banks are vital to small businesses. But small banks have been hit hard in recent years. If the candidates for the White House and Congress are serious about small business and access to capital, then they need to take a close look at what’s happened to our small community banks. Indeed, the credit and economic meltdown that hit in full fury during the latter part of 2008 was supposed to be about big bad abusive banks, according to so many politicians. The emphasis usually was on “big.” Of course, this ignored the foundational role played by bad public policy pushing mortgages that had little relationship to sound finances. The inevitable call for more banking regulation erupted. Another SBE Council analysis made clear the decline in the number and value of small business loans since 2008. The smallest banks – with less than 20 employees – experienced by far the largest percentage drop off, that is, about twice the percentage rate decline compared to the fall in commercial banks overall. The next largest drops were among banks with fewer than 100 employees and those with less than 500 workers, respectively. Meanwhile, the number of large banks barely changed at all. That should surprise no one, as larger businesses often possess the resources to better weather regulatory storms than do small and mid-size businesses. Regulatory relief and reform are needed when it comes to banks and financing. Candidates would be wise to consider the proposals offered by the “Relieving Regulatory Burdens” Task Force led by U.S. House Speaker Paul Ryan (R-WI) and House Small Business Committee Chairman Steve Chabot (R-OH). SBE Council reported on these regulatory reform measures in June of this year. As noted in that piece, “Make no mistake, the ability of small businesses to get financing is directly affected by the regulatory burdens and mandates placed on financial institutions.” That includes big, medium and small banks. These reforms, as well as key changes needed across regulatory agencies (including the Securities and Exchange Commission, for example), are also included in Financial Services Chairman Jeb Hensarling’s (R-TX) CHOICE Act. The good news is that both presidential candidates recognize the burden of regulation on small banks and how it has negatively impacted their competitiveness and survival, and the availability of loans for small businesses. But who will make reform a priority? That is, will Hillary Clinton or Donald Trump address this issue in the first 100 days of their Administration? Immediate action is critical to improving capital access for small businesses, the survival of local financial institutions that are so vital to communities, and sustainable and widespread growth for our economy. Keating’s latest book published by SBE Council is titled Unleashing Small Business Through IP: The Role of Intellectual Property in Driving Entrepreneurship, Innovation and Investment and it is available free on SBE Council’s website here.